Listed below are the most frequently asked questions about our Sarlon Acoustic Vinyl collection. If you would like to download technical/environmental specifications, BRE results, NBS specification, please visit the Sarlon Acoustic Vinyl downloads section. All available BIM objects for our Acoustic Vinyl collections can be directly downloaded from the BIM page. Can I wear stiletto heeled shoes on acoustic or cushioned vinyl floor? 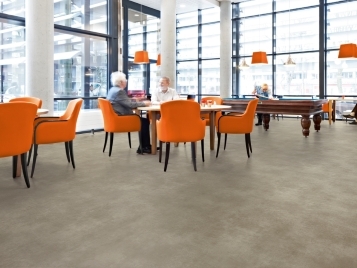 Can I wear stiletto heeled shoes on acoustic or cushioned vinyl flooring? Stiletto heeled footwear with the heel tip present and in good condition will not damage or mark any Forbo sheet or tile floor covering. Problems of damage from stiletto heeled shoes are caused when the tip is damaged or missing from the heel exposing the metal pin or hollow steel tube that supports the body of the shoe heel. 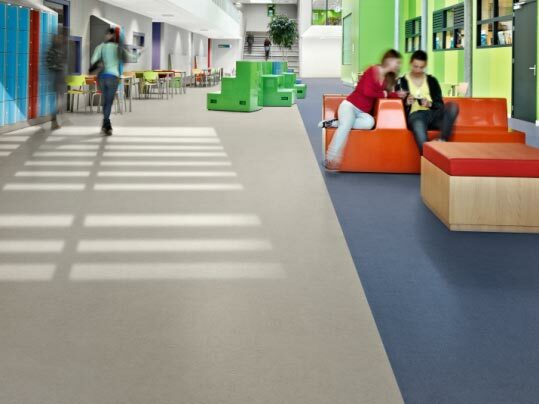 The increase in pressure on the surface of the floor covering is increased enormously and will result in indentation marks in any resilient floor covering and in some cases even ceramic floor tiles. Can I use solvent cold weld with Sarlon Acoustic Vinyl? Cold weld should NOT be used with Sarlon Acoustic Vinyl. All seams SHOULD be hot welded. View our Sarlon installation guide for further information.